fundamental and derived construction kits. Developing the particular forms of meta-cognition involved in mathematical discovery. (metrics vs semi-metrically enhanced partial orderings). Place holder: Issues related to use of matter to manipulate matter. information and new ways of using information. exist in the earliest life forms. now they are used merely to illustrate types of information-processing phenomena. researchers in a single discipline focusing on narrower sets of examples. processes or mechanisms in a uniform way will lead to erroneous theories. the first work to be concerned with evolution of information processing mechanisms. (or lacked) the engineering expertise to provide deep answers. required for dealing with it. perception and use (going far beyond the ideas of James Gibson on affordances). offline information-processing is discussed further below. know it and how could they have come to exist? biological information used in reproduction and in many forms of behaviour. genetic manipulation to control reproduction. mechanisms that drove those changes. possible, along as many divergent evolutionary lineages as possible. gradually home in on details. its products, enhance evolution's ability to produce more complex products. possible trajectories is a question to be investigated later. trajectories can ruin educational systems for many learners. to produce fine grained control have also evolved. or two humans discussing how to solve a problem. subsystems long before whole individuals communicated as humans do. new language, as learners get older. 4.13. It is perhaps worth stressing that the problem of purposive adjustment of organisms to changes arises long before the problem of its purposive behaviour with regard to external objects. We must probably assume that, in the course of evolution, the original direct connexions between particular stimuli and particular responses are being preserved, but that control mechanisms are being superimposed capable of inhibiting or modifying these direct responses when they are inappropriate in view of other simultaneously acting stimuli. consistent, inconsistent, entailed by something else, explanatory, confusing, etc. In that sense information is what is sometimes called "meaning", or "semantic content". many others. In this document I never use the word in Shannon's sense. circular, or else misleading in various ways. Like many powerful theoretical terms (e.g. "matter", "energy", "gene", "electrical charge", "valence",...) the word "information"
A. Sloman, What's information, for an organism or intelligent machine? or by assuming that these representations refer only to things or states of affairs. though a full discussion of possible varieties and uses of information is not possible here. allowing different connections between response selection and response production, e.g. running away vs flying away). perform manipulations on other objects, including the use of body parts. vice to hold the object being manipulated. some cases) it's possible to miss important cognitive processes. which animals can learn or use a language? when do children start to use language? by a running computer. For more on this see below. changes in the environment, e.g. new problems, challenges, dangers or opportunities. basis for massive practical advances. Many researchers work on systems that learn. Different sorts of things can be learnt, including abilities of many kinds, and applications of those abilities. Different abilities require different ontologies, and the ontologies used by organisms have changed in many ways during evolution. I suspect the list of types of change here is only a tiny subset. Changes in abilities and ontologies include (in no significant order): Ontologies required for learnable abilities including: abilities to label, abilities to describe, abilities to predict, abilities to manipulate directly or to control indirectly, abilities to perform actions of varying complexity and difficulty, abilities to classify, abilities to explain, abilities to evaluate, abilities to appreciate, abilities to plan, abilities to carry out plans, including modifying or extending them during execution, abilities to design things, abilities to make things to satisfy a need, abilities to prove things, make inferences, calculate or reason, abilities to discover things, abilities to communicate (using language or other media), abilities to understand communications, abilities to teach or assist others, abilities to collaborate as leader or subordinate or equal, abilities to empathise, abilities to introspect in various ways, abilities to resolve conflicts, within oneself or between individuals, and many more related abilities. All those abilities are generic and may have sub-cases that have to be learnt separately, and in some cases the learning can include increasing speed, fluency, reliability and accuracy of performance. Intelligent abilities require use of knowledge about types of things that can exist or happen, i.e. knowledge of an ontology. A simple homeostatic controller, e.g. a thermostat, may use a very simple ontology perhaps including contents of a form of sensory input (e.g. temperatures) and contents of a form of output e.g. 'raise' or 'lower' signals to a heater or cooler. Organisms (and future robots) with multiple modes of sensing and acting on a complex independently existing environment need ontologies that straddle modes of perception and action, for instance the ability to express where something is or how it is moving, irrespective of how the object's location is sensed or changed. to select a defensive response. It is likely that several homeostatic mechanisms developed in the earliest life forms and perhaps their precursors. Making continuous control more intelligent. [Added 4 Jan 2014] Since continuous homeostatic control can be more or less intelligent, there are likely to be changes in how control works, during evolution, during development and in some learning processes. For example, someone steering a boat or other vehicle towards a target while changing winds continuously tend to force a change of direction, may learn patterns in the changing wind and use those to anticipate changes and resist their effects using counteracting forces, including anticipatory control changes. Someone driving a car into a garage may use more or less intelligent variations in accelerations and braking controls so as to get the car close to the rear wall without hitting it and without taking a vary long time. Developing new physico/chemical sensors or extending the competences of old ones. Detecting and using information about gradients (e.g. changing concentration of a desired chemical) and using that to select direction of motion. (There are very many biological mechanisms that do this, some relatively simple, e.g. phototropism, geotropism, hydrotropism? ?, others much more complex, e.g. carnivores seeking prey that can move, or animals seeking mates. Developing various techniques for improving ability to follow gradients, e.g. faster or with greater precision, possibly using newly evolved sensory motor subsystems or merely using old ones more effectively (better information processing). Detecting correlations between sensor values and immediate consequences, so that preferences that can drive the above mechanisms change. Detecting correlations between sensor values and later consequences, so that preferences that can drive the above mechanisms change. More generally: detecting correlations across temporal gaps. Detecting approach of some good or bad discrete entity, and using the information to control approach or avoidance behaviour. to consume, what to avoid). use of ordered categories, e.g. Use of vectors of values (collections of labels) to describe an entity, e.g. "big, red, heavy, soft, immobile, ...."
Compare S.S. Stevens' "scales" of measurement (1946). Developing abilities to produce "fuzzy chunking" (discretization) of continuous changes, e.g. into phases of expansion, contraction, pulsation, translation, rotation (etc.) of some or all of an object or surface. Developing ability to produce "fuzzy chunking" (in L. Zadeh's sense?) of continuous surfaces, into sub-surfaces, e.g. bumps, dents, grooves, ridges and other extended surface features that can be straight, curved, wiggly, spiral-shaped, etc. Some of these kinds of discretization will be done by individuals separately, while others may depend on developing a consensus among members of a community, and others may result from species differentiation -- producing different ways of dividing a continuum (plants and their pollinators?). use of structural descriptions involving relationships of many kinds between objects, their parts, their features, their composition, their capabilities, etc. Unfortunately current AI students seem not to learn about some of the deep pioneering work done in the late 1960s and early 1970s in which use of structural descriptions, including comparisons of structural descriptions was central, for example the work by T.G. Evans on a geometric analogy program which inspired work by P. Winston on learning structural descriptions from examples, and G.J. Sussman on A Computational Model of Skill Acquisition, referring to thinking skills, not physical skills (both of which are important in humans and many other species). use of forms of representation allowing structural variability, and varying complexity (e.g. lists, trees, graphs, sentences), possibly based on a generative grammar (which could be implicit in the ways certain mechanisms work). Does anyone know which organisms were first able to detect, represent and make use of relationships? Developing ability to represent processes under the perceiver's control. Developing related abilities to produce "fuzzy chunking" of continuous changes, e.g. into phases of expansion, contraction, pulsation, translation, rotation (etc.) of some or all of an object or surface. Acquiring abilities to out-smart predators or competitors Using evolved, automatic responses, or using newly invented plans, strategies, traps, hiding places, etc. Acquiring and using information about environmental contents not accessible by sensory mechanisms (and not definable in terms of sensory-motor statistics, e.g. properties of matter like rigidity, flexibility, elasticity, strength, liquidity, chemical composition, combustibility, ...) e.g. "baby stuff". Acquiring and using information about empty regions of space e.g. the passable space between two large rocks, the space into which some object could be moved in order to simplify some task (e.g. standing on it to look over another object), the space out of sight where something wanted might be located. the possible spatial trajectory of an armchair that will not fit through a doorway without a complex 3-D rotation. Acquiring information about possibilities and impossibilities (necessities) (Very many kinds. See papers on toddler theorems, triangle theorems , actual possibilities, and types of affordance.) The ability to represent what can happen but is not happening allows the possibility of puzzlement about why something is or is not happening. and similar examples relating to past and future, or different locations (what could or could not happen here and there). It is sometimes proposed that such information contents require use of a modal logic, that adds operators such as "possible", "impossible", "necessary" and "contingent" to a formalism for expressing facts. But that presumes that all information is represented propositionally (in a form expressible in sentences), but, for many reasons, including observations about mathematical competences below I suspect the ability to think and reason about counterfactuals uses architectural extensions (illustrated by the work of John Barnden and Mark Lee on counterfactuals and ATT-Meta). Going from representing a set of possibilities to discovering some invariant feature of the set -- as in many mathematical discoveries, e.g. Acquiring abilities to represent past events and compare them with present events, in various ways, for various purposes. A related example (also connected with the ability to build up information about extended spatial structures): A child was taken for a walk and then when the route taken joined up with an earlier part of the route, he said, with great delight, something like "We came here earlier". Ability to use mappings between collections of objects, e.g. performing two discrete sequences of actions in step (e.g. touching objects and making a noise for each one, or allocating a portion of food to each nestling). Later versions of this can lead to the concept of cardinal number and then arithmetical operations on numbers, not to be confused with concepts of measures. Compare: toddler theorems about numbers and numerosity (often confused by researchers). Ability to use meta-semantic and meta-cognitive information about information and information-users (including oneself). Developing abilities to monitor, reason about and control the contents of and causal interactions within virtual machinery (apparently produced by evolution long before human engineers began to understand the need for and uses of virtual machinery with causal powers since mid 20th century). Example: Merlin Donald mentions the importance in humans of voluntary control of access to stored information -- deciding which memories to retrieve in various contexts. This is a special case of the general tendency to evolve more and more flexible and sophisticated forms of access to stored information. How do you know that if a vertex of a planar triangle moves along a median away from the opposite face the area of the triangle must increase, no matter what the size, shape, orientation, colour or location of the triangle? Compare the two cases (a) and (b) in the figure below? I suggest this uses deep functions of animal vision that have mostly been ignored. Abilities to perceive and reason about possibilities and constraints on possibilities in a mathematical context are deeply connected with the ability to perceive and reason about affordances, which must have evolved earlier. This sort of requirement is one among many aspects of cognition that are blindly ignored (as opposed to being temporarily postponed) by most researchers on "embodied" or "enactive" cognition. More examples are e.g. here, here and here. Compare "toddler theorems" about how what's visible through a doorway to another room changes as you move your location relative to the doorway in various directions. Transitions in functions of biological visual information processing. Most vision researchers seem to think it is obvious what the functions of vision are (e.g. as spelled out by David Marr in 1981). However, as far as humans and similar animals are concerned, the problems of specifying exactly what the functions of visual perception are, how they vary, how they develop in individuals, and how those functional requirements are met by the information processing mechanisms available (e.g. brain mechanisms) remain unsolved problems: which is part of the reason why machine vision is so limited compared with animal vision (including human vision). For example, I know of no animal whose visual system uses a lens to project light onto a regular rectangular grid of optical sensors, as almost all artificial visual systems do. The physical and functional design features of biological eyes may provide deep clues to the information processing functions and mechanisms of natural vision systems that have largely been ignored. still newer meta-semantic, meta-cognitive and meta-management mechanisms (able to represent and reason about things that represent and reason, including other agents and oneself. Many evolutionary and developmental transitions are concerned with either adding new kinds of functionality within these layers or columns, or connecting functionality in different parts of the grid, across columns or layers, to develop more complex systems, e.g. producing social actions (such as smiling, beckoning, teaching, that involve not just the low level motor control system but also meta-semantic competences generating intentions and actions, and visually interpreting actions and responses of other agents. Because of the nature of this grid there are many possible sequences in which particular competences can be added by evolutionary and developmental processes. Although the CogAff grid/schema provides a useful framework for thinking about design alternatives it must be considered as a very crude approximation, especially the obviously inadequate implication that there are only 9 major subdivisions among types of information processing. Transitions related to Arnold Trehub's ideas. Several features of human information processing, especially visual information processing, that are not widely acknowledged are discussed in Arnold Trehub's 1991 book The Cognitive Brain, now online here with related papers http://www.people.umass.edu/trehub/. In particular, he attempts to explain how human vision (and presumably also vision in some other animals), can use the information sent to the primary visual cortex which is constantly changing because of saccades and other eye movements as well as head movements and movements of the whole body. His "retinoid" theory proposes a constantly changing mapping between the retinal information in V1 and the enduring information structure that encodes what is seen. I would summarise this by saying that instead of regarding F1 as the first level of visual processing in the usual manner, we should regard it as an extension of the hardware evolved for collecting visual information (collecting photons). It is part of a "sampling" mechanism for rapidly sampling different portions of the optic array (Gibson), using saccades, with the samples immediately "forwarded" to several other subsystems for further processing and for absorption into various enduring information structures holding different sorts of information about contents of the environment, not contents of retinal stimulation -- which would be of far less importance to many subsystems in an intelligent animal or machine. Since the main sampling is done by the high resolution fovea, and the fovea will not find any gaps in the optic array, the other subsystems do not obtain information about gaps that one might suppose the "blind spot" on the retina would produce. Whether all the details are correct (including Trehub's proposal that information is stored in regular grid structures, which I doubt) a theory of that general sort has several merits in addition to explaining why no "blind spot" is perceived, even during monocular vision. There are still many unanswered questions about forms of representation used and types of processing associated with various aspects of visual intelligence. Place holder: Transitions involving "Alarm" mechanisms. (Discussed in Cogaff papers, including mechanisms concerned with the five "F"'s: feeding, fighting, fleeing, reproduction and freezing -- often omitted from the list). Transitions towards binocular visual perception. One of the wonders of biological evolution is both the diversity of evolved designs for eyes and also the way certain design features (e.g. use of lenses) evolved independently more than once (briefly summarised in http://en.wikipedia.org/wiki/Evolution_of_the_eye). Much is known about physical, chemical, and morphological aspects of many kinds of eyes, and also about their functions, which typically depend on the needs of the organism, its optical sensor morphology, the features of the environment (including available food, predators, mate-features), the actions of which the organism is capable, and the available types of information processing mechanism. Several animals have two or more eyes, and in some cases these seem to operate as independent sensors. But humans, and various other animals, including primates, hunting mammals, and many birds seem to be able to use two eyes pointing roughly in the same direction to drive two collaborating streams of information processing to compute distances of perceived objects by triangulation. Unfortunately, Julesz and others discovered that humans are able to see 3-D structures in random dot stereograms, and this led many researchers to assume that the methods required for doing that, by first finding low level correspondences in the images, are used for all stereo vision. However, most natural scenes do not produce random dot patterns on the retina, and it is easy to confirm that a great deal of 3-D structure can be seen monocularly (e.g. try wearing an eye-shield for a few hours). So it is at least possible that animal systems use the results of monocular perception to identify corresponding locations in the left and right percepts and use those correspondences to perform triangulation. I offer this merely as an illustration of how easily an experimental discovery leading to a large tranche of computational modelling can distract research attention away from an important biological function. It is often assumed that perception of a 3-D configuration of objects requires either or both of isolation and labelling of image regions corresponding to different object-types (recognition) and construction of an internal model of the portion of the 3-D environment currently perceived. Both of these miss the requirement to identify 3-D features of shapes that may or may not be visible from all views, and which may or may not be relevant to possible uses and behaviours of the object, and may take account of various combinations of topological properties of the objects, metrical properties of the object, qualitative semi-metrical properties, e.g. constancy, increase or decrease of curvature of part of a surface, or "phase transitions" in orientation or curvature, e.g. regions where curvature changes from concave to convex or vice versa, regions where curvature is constant, and many more. 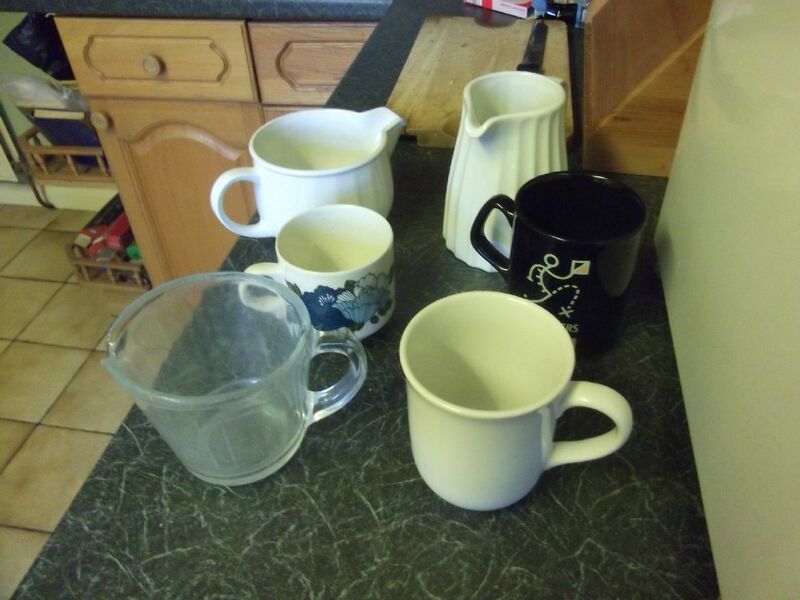 In what ways can the objects be grouped perceptually? Which objects have been moved between the two photographs, and in what ways? How have the viewpoint and viewing direction changed? In the scene depicted on the right, which objects would be easier to pick up with the viewer's left hand and which would be easier with the right? When can a typical human infant use vision to take in the information required to answer such questions? Which other species can do it? What forms of representation and capabilities had to evolve to make such tasks possible? Place holder: Issues related to acquiring and representing information about spatial layouts. How were organisms first able to learn about an enduring spatial configuration of resources, obstacles and dangers, only a tiny fragment of which can be sensed at any one time? What changes occurred to meet that need? Place holder: Issues related to representation of space -- (metrics vs semi-metrically enhanced partial orderings). Sophisticated animals can make use of information about spatial structures, sizes, shapes, relationships, part-whole structures, orientation, location, relative distances, motions, effects on motions (e.g. obstructing, diverting, etc.). Many mathematically well educated researchers assume that animals (and intelligent machines) must express all those spatial properties and relationships using an ontology that assumes an all encompassing space, with global metrics for length, area, volume, curvature, orientation, angle, etc. However, it is far from obvious that many animals (or any animals) can do that, and moreover there are many unsolved problems about how to derive such information from visual and other sensor data. Perhaps that is a poor analysis of the problems evolution and its products solved. For various reasons, to be explained later, I suspect that the ability to think about, make use of, or acquire information expressed in terms of such global metrics, e.g. using a global cartesian coordinate frame, or a global polar coordinate frame, is a very late, relatively sophisticated achievement (only developed in 1637 and thereafter by Descartes, Fermat, and their successors -- without which Newton's mechanics would have been impossible). An alternative ontology might instead make use of collections of spatial and topological relationships between objects, and object parts, where the relationships could be binary, ternary, etc., with partial orderings of size, area, volume, angle, distance, direction, straightness, curvature, regularity, where some of the relationships are detected and represented in far more detail than others, e.g. relationships between objects or surfaces (including surfaces of manipulators) in the immediate environment, or relationships between objects on which actions are being, or are intended to be performed. A network of partial orderings of size, distance, could be enhanced by semi-metrical relationships, e.g. A is longer than B, and the difference is more than three times and less than four times the length of B. If B is a pace for a walking animal that could be relevant to choosing routes for walking. Different kinds of information about partial orderings might be relevant to grasping and manipulating objects in the immediate environment. There's lots more to be said about the alternatives, their biological uses, their evolution, their development in individuals, the forms of representation used, the forms of reasoning, their roles in perception of different sorts (visual, haptic, auditory, or multi-modal perception, or a-modal reasoning), and about how organisms differ. E.g most of this would be impossible for microbes. I suspect this ability to perceive and reason about semi-metrical partial orderings is part of what accounts for the early discoveries leading to Euclidean geometry, including the examples summarised here, and that in humans many transitions in representation of spatial structures, relationships, processes and interactions occur in the first few years of life that have not been noticed or studied by developmental psychologists. (Though Piaget seems to have thought about some of them.) They also have not been noticed by roboticists, especially 'enactivist' roboticists who focus mainly on online intelligence ignoring offline intelligence, briefly mentioned below. Place holder: Issues related to use of matter to manipulate matter. ("Tool use" is a special case of this.) There are many kinds of affordance, perceptual competences, planning competences, plan-execution competences, action control competences (e.g. servo-control), and representational competences related to the use of one piece of matter (whether part of the body or something else) to manipulate or constrain the possible motion of another piece of matter. Most of such competences found in many animals are far beyond the competences of current robots. Unfortunately asking questions about which animals, or which infants, show tool-use can divert research attention from deeper questions about those common matter-manipulation competences. Too often researchers think that what they do effortlessly needs no explanation -- so they look for explanations of failures (e.g. change blindness, lack of "conservation", etc.) instead of first looking for explanations of successes, without which it is impossible to construct explanations of what goes wrong. Place holder: Issues related to evolution of different kinds of visual architectures, including pipe-line architectures, and architectures supporting concurrent multi-layer, multi-functional, visual contents, with mechanisms for rapid reorganisation (possibly using constraint propagation), illustrated here and here. Place holder: Issues related to the speed, variety, and complexity of multi-level perception. Some examples are in chapter 9 of The Computer Revolution in Philosophy and here. Place holder: Issues related to transformations from procedural/implicit to declarative/explicit information. Many AI programmers and others have found from experience that a program structure that works can often be made more general and more efficient if in the instructions are repackaged in a different way, allowing more decisions to be taken at run time on the basis of what has been learnt so far by the running program, instead of the programmer trying to work out an optimal strategy to cover all cases. For example, a program may search for a solution by constantly trying ways of extending partial solutions, then "backtracking" to previous "choice points" on encountering dead ends, where the ordering of choices is determined in advance by the programmer. Instead the program could be restructured so that it does some preliminary investigations of options and their strengths and weaknesses (e.g. peeking over a wall to gain information before deciding whether to follow the wall to the left or to the right. I suspect that biological evolution changed the information processing architectures of some organisms so as to allow more intelligent 'look ahead' to guide choices, or to allow different exploration strategies to be selected explicitly on the basis of information available instead of being 'hard-wired' in search strategies. Such transitions have happened many times in the history of programming language development. An example was the transition from the Planner AI language to the Conniver language at MIT in the early 1970s. There are other transitions where failures discovered during a search process can be found to be detectable at an earlier stage, an example being the process of "compiling critics" modelled in Sussman's Hacker program [[REF]]. Compare recording 'ill-formed' substrings during parsing to constrain future search, and the development of 'caching' mechanisms, mentioned below. Conjecture: There are MANY more transitions made explicitly by programming language designers that are analogous to transitions made implicitly in changes of biological information processing. Place holder: transitions from individual to collective or collaborative actions. This can include swarming, flocking, foraging, migrating as a herd. Collective behaviours: the individuals merely react to what is happening in their environment, including what conspecifics are doing. Collaborative behaviours: the individuals share goals and deliberatively make use of what others are and are not doing in controlling their own behaviour so as to achieve the goals. There are probably many different intermediate cases, and overlapping cases, with both features. Place holder: Issues related to altricial precocial tradeoffs, e.g. discussed in this paper. Place holder: Issues related to Annette Karmiloff-Smith's notion of types of "Representational redescription" discussed here. Place holder: Issues related to distinctions between architectural layers and types of deliberative competence, as discussed here. Place holder: Issues related to evolution and development of different kinds of motivation, e.g. reward-based and architecture-based motivation discussed here. Place holder: Motivations and competences related to things enjoyed It's very likely that simplest organisms merely do certain things and attempt to avoid other things. But they do not have an information processing architecture that supports states and processes involved in liking, enjoying, disliking, wanting to prevent, etc. I suspect those all require information processing architectures supporting concurrent processes in which some are concerned with managing, monitoring, comparing, initiating, preventing, taking decisions about others, including some management of the management processes (called Meta-Management by Luc Beaudoin in his PhD thesis (1994)). Place holder: Evolutionary issues related to muddles about consciousness, qualia, emergence, downward causation, the explanatory gap, and the evolution of self-monitoring self-modifying virtual machinery, discussed here. Place holder: Issues related to differences between "online" and "offline" intelligence, e.g. servo-control vs deliberating, planning, explaining, or describing. Such advances in online intelligence do not necessarily provided advances in offline intelligence, e.g. the ability to think about the past, or future, or what might have happened under different conditions. Varieties of deliberation are discussed here. Many products of robotic research show very impressive online intelligence without any offline intelligence, e.g. the amazing BigDog robot built by Boston Dynamics. times, including describing, planning, answering questions, etc. more recent replacement of these labels with the labels "action" and "perception"
its role in online intelligence. Place holder: Transitions in brain functionality from control of behaviour to many other functions -- including counterfactual-metacognition. This is closely related to the previous point. Examples: a robot, like Boston Dynamics' BigDog produces very impressive behaviours. But it does not know what it has done, what it will do, what it hasn't done but could have done, why it did the one and not the other, what would have happened if it had selected a different option, what options might be available in a few seconds time, what the consequences of those various options are, and many more. Many questions need to be answered: What sorts of evolutionary transitions led to such counterfactual-metacognitive capabilities in humans? Which other animals have them? At what stage do they develop in children, and how? 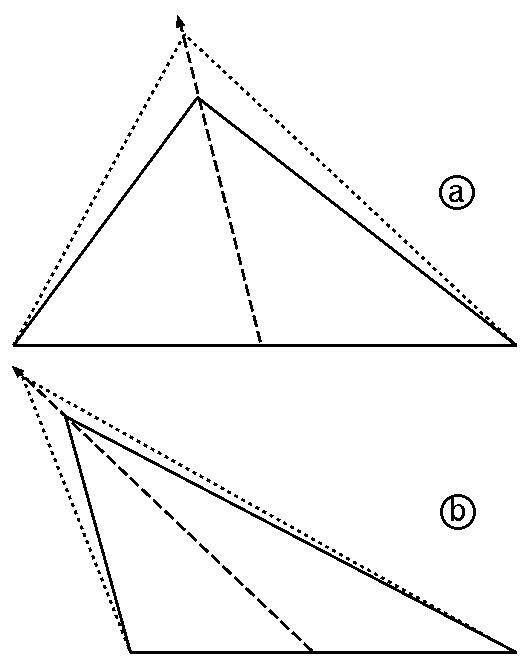 How does all that relate to the "proto-mathematical" ability to look at a triangle and ask what would happen to the area if one of the vertices moved relative to the opposite side, as illustrated here? Note: there is much more to be said about "offline intelligence" and how almost all the research inspired by a concern with embodiment, dynamical systems, enactivism (etc.) fails to address some of the deepest aspects of biological intelligence (a recurring theme here). 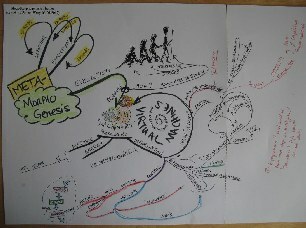 Place holder: Issues related to evolution of language, especially the importance of uses of generalised (internal) languages (GLs) for internal purposes, such as expressing the contents of perception, intentions, plans, puzzles, questions, spatial structures, etc., and the likely evolution of sign languages before spoken languages as argued here. Many theories of language evolution and/or development ignore the fact that a prerequisite of communication is having something to communicate, which requires some non-communicative information bearer (form of representation) before the development of uses of language for communication. parts of the structure and the current context. Condition (iv) is essential for coping with structural novelty, e.g. perceiving, or thinking about, or intending to construct, something never previously encountered. If everything perceived, intended, hypothesised, explained, or predicted could be adequately represented by a collection of N scalar measures then all variability would be accommodated by the possible set of values those measures. But many animals evolved abilities to cope with environments in which objects, processes, and actions exist with much more complex forms of variation, including structural variation (illustrated by the variety of plant and animal forms and the variety of ways in which different collections of plants, animals, non-living matter can be assembled and interact -- for instance the variety of processes involved in assembling a nest from twigs, or weaving a nest from leaves). An observation due to Chomsky half a century ago (although he did not express it like this) is that any economical solution to the problem of being able to cope with the kinds of variation that can occur in human experiences will have the potential to cope with infinite variation. We now know that infinite potential (or competence) can exist in a computer, for example insofar as it includes and can execute a recursive definition of the factorial of a number) despite it having performance limits due to memory limits, or memory addressing limits. Those performance limits can co-exist with the infinite competence in the factorial procedure, which works in principle for any integer input, no matter how large. How biological information processing systems actually implement that infinite competence is an empirical question. How many forms of solution to that problem and by what evolutionary pathways is a problem for the M-M project. Eventually a deep theory of evolution of forms of information processing will need to account for the various intermediate stages that can occur, both in evolution and in individual development, both in humans and in other intelligent species. A particular requirement that follows from (iii) is that no matter what the size limits of individual brains, the organisms need forms of representation and mechanisms of operation, that in principle have infinite generative competence. As Chomsky noticed in connection with human languages, actual performance may be limited by various aspects of the implementation. Immanuel Kant had similar ideas in relation to human mathematical competences. Place holder: Transitions from Computing to Caching (storing useful results for future use) There are many aspects of human intelligence that depend on having memorised things that could in principle be worked out when required. Familiar examples include results of addition and multiplication of numbers. A great deal of numerical thinking would be very seriously hampered if only the basic principles were stored and results computed whenever required. Playing frequently used sequences of notes on a piano from memory (e.g. learnt scales, arpeggios, etc. ), and many other types of physical behaviour are examples of different sorts. Frequently used phrases may be stored as if they were parts of the vocabulary (referred to by Joe Becker as 'The Phrasal Lexicon' in 1975) also illustrate this. Sometimes educational policies that try to emphasise 'understanding' at the expense of 'memorising' miss an extremely important function of memorising as an aid to altering the level of complexity of what the learner can understand. Presumably there was some sort of evolutionary transition between being able to work out plans or solutions to problems and having mechanisms for storing results of such computations for future use. A closely related, but more subtle development is the ability to remember discoveries about what does not work, so as to reduce the risk of following false trails in planning, reasoning, designing, doing mathematical reasoning, etc. Compare the work of Sussman on 'compiling' critics mentioned above. Place holder: From caching specifics to caching Patterns A store of learnt useful information about what does and what does not work may contain only specific instances to be re-used or avoided. A more powerful capability could replace instances with generic patterns that cover a wider range of cases. That requires development of a form of representation for expressing patterns in a usable form, and suitable mechanisms for detecting when new cases match a stored pattern. Transitions of this sort occurred several times during the development of programming languages in the 20th century. A tutorial introduction to use of patterns in programs manipulating list structures is here. Place holder: From Patterns to Grammars Atomic labels are not rich enough to express structural features. Patterns can express some structural features. Use of grammars can express features of unbounded complexity and great variability as in goals, plans, descriptions of perceived items, beliefs, etc. express the contents of visual percepts. Many researchers seem to assume that grammars are relevant only to languages used for communication, ignoring requirements for internal information processing in animals and machines. Place holder: Precocial to Altricial transitions Most species have most of their behavioural and information processing competences specified genetically (pre-configured), possibly enhanced with some adaptive mechanisms that allow a generic specification to be tailored to the details of the individual's morphology and environment. For more complex species, evolution seems to have "discovered" the advantages, especially as life-spans increase, of more powerful ways of enhancing the genetically specified design, to cope better with threats, opportunities and constraints in each individual's environment, i.e. replacing pre-configured with meta-configured competences. In some cases, e.g. in humans and some other altricial species, evolution also seems to have discovered the advantages of not only slowing down physical development while information processing mechanisms adapt to each individual's circumstances, but also staggering the onset of various kinds of later learning that build on the products of earlier learning: delayed activation of a meta-cognitive learning mechanism allows it to start looking for patterns in what "lower order" mechanisms have discovered when the patterns are richer and more stable, instead of wasting effort analysing patterns that are spurious, because based on too few instances and tests. This may be specially important in cases where learning cannot easily be undone. These ideas are developed in a little more detail in Chappell and Sloman (2007). These are crude analyses: far more details, based on far more examples, are needed. Place holder: Issues related to meta-semantic competences Semantic competences are concerned with abilities to acquire, manipulate, transform, use, information: what this document is all about. Meta-semantic competences are concerned with abilities to use information about information, about information bearers, about information uses, about information manipulation (e.g. inference, reasoning, planning). All living things have semantic competences insofar as they can use any information at all, whether with external or purely internal referents. A subset seem to have meta-semantic competences regarding themselves or others. These competences may be genetically fixed for some species and in others may develop under multiple influences (meta-configured competences, mentioned above). In humans many kinds of social/cultural education, and in some cases therapy can enhance meta-semantic competences, whether self-directed or other-directed (e.g. getting better at telling whether your actions are upsetting someone). Human infants (and perhaps the young of some other species) need to develop a variety of meta-semantic competences, some self-directed some other-directed, some combined with counterfactual reasoning (e.g. "what could I have done differently? ", "How would A have responded if I had not done X? ", "Can A see this part of X? ", "Can A tell what I can see? ", "What does A think B did?"). Psychologists have used the label "mind-reading" for this sort of capability, but mostly restricted it to a small set of competences involved in working out what another believes or thinks, especially in situations where they don't have up to date evidence. This is just one of many cases where a fashion for a particular kind of research has spread because it is easy to vary experimental details, without ever thinking about the kinds of mechanisms required to make any of the competences involved possible at all. For example, meta-semantic competence requires an architecture that supports referential opacity as well as referential transparency -- the usual default. Referential transparency refers to properties of representations where replacing item A in a larger representation referring to object O with item B also referring to O makes no difference to what is represented by the whole structure, and whether it is true or false. For example, if Fred is chairman of the club, then if it's true that the chairman of the club is a cricketer, then it is also true that Fred is a cricketer. But in a referentially opaque context, e.g. "Joe believes that the chairman of the club is a cricketer" replacing "the chairman of the club" with "Fred" can turn a true statement into a false one, or vice versa. Some researchers favour trying to model such effects by extending the language used with a new operator (e.g. "believes that") and modifying normal inference rules. I suspect that what is really needed is a change in the architecture, to support a separation between information structures accepted as true (beliefs) and the information structures that represent possibilities that are not accepted. This is essential for planning, and for perception of affordances. "John is in the kitchen and Mary is in the pantry"
Rather he merely needs to reason that as there were only two possible locations and one is ruled out the other one is the correct one. He may use the word "must" to express this "She must be in the kitchen". That is the "must" of logical necessity, but it doesn't come from a rule -- it comes from constraints linking the alternatives and the observed facts in this situation. The rule may later be formulated as a generalisation of the inferences made in such situations. But the articulated rule need not be involved in understanding the necessity that makes the inference valid. Place holder: The Baldwin effect and its inverse/reverse The Baldwin effect (discussed critically by David Papineau here) refers to useful competences that start off being learnt by individuals, and, as a side effect, certain genetic changes providing those competences become selected for. This could speed up the availability of the competence in individuals, for example. A reverse process seems to me to be far more common and far more important: some feature or competence is produced in members of a species by natural selection. Then later, because the genetically-specified competence is too specific to be useful in enough different situations, the competence may be split into some general framework, provided by the genome, and context-specific details acquired by some sort of adaptation to the details of the environment. (E.g. locomotion that evolved for relatively flat terrain might be replaced by a general competence to acquire locomotion suited to the individual's environment, which may be rocky, or on a mountain slope, etc. In some cases this could lead to an inherited group of partly similar competences being split into a number of inherited sub-competences that can be combined in different ways, using learning mechanisms to find the combinations that are useful for an individual's environment. (EXAMPLES NEEDED. REF Deacon?). In more sophisticated cases, instead of learning (e.g. by experimentally finding out what works), a process of creative problem-solving or planning may enable individuals to work out new ways of combining fragments of old (learnt or inherited) competences. This could have the effect that parts of the genome specifying a particular combination of competences might become redundant because individuals who need that combination can synthesise it through planning or learning, when needed, and perhaps synthesise a combination better tailored to the particular environment than the previously evolved version. This is an extension of Kenneth Craik's idea, in Craik (1943), that being able to "run" internal models of parts of the environment to find out the consequences of certain actions could save time, effort, injury, and even life). However, it is not clear that Craik had worked out the full implications of use of internal models, including their role in exploring what is possible and what is impossible. Place holder: Transitions in biological information-processing architectures There are evolutionary transitions, developmental transitions, learning transitions, social transitions, cultural transitions, transitions in sets of requirements (niches) as well as transitions in designs for meeting those requirements. A particular set of transitions concerns changes in the information processing architecture and the requirements they meet or fail to meet (transitions/trajectories in design space and niche space). Some ways of thinking about spaces of architectures and transitions in architectural designs are in the Cognition and Affect papers, e.g. the overview. Place holder: Transitions in fitness criteria Closely related to the previous points, and to tradeoffs, below. Place holder: forms of evolution involving the "extended genotype"
Place holder: Co-evolution of multiple interacting designs and niches A niche is best viewed not as a physical environment, but as a collection of requirements against which designs (and their instances) are evaluated, e.g. regarding ability to compete, survive and reproduce, since a mouse and a midge have very different niches even when they are physically very close together. As organisms modify their designs, or their environments they alter the niches for other organisms, which may as a result modify their designs, producing changing networks of mutual influences generating interacting trajectories in "design space" and "niche space". This covers a vast mixture of types of process, mechanism, form of representation, information content, and uses of information, on many scales, for many purposes. The vast majority of successful organisms on this planet, whether measured by individual numbers, variety of species, or biomass, lack brains. Brainless organisms provide both the base of food pyramids for others, and in some cases essential forms of symbiosis (e.g. bacteria in the human gut.) Lacking brains does not stop them processing information, e.g. in controlling their reactions to their immediate environment and internal processes, including reproduction and growth. Even in organisms that have brains there is a vast amount of sub-organism control (including homeostasis) and learning (adaptation) that does not use brain mechanisms, e.g. in metabolism, reproduction, growth, brain development, immune reactions, and many more -- but I suspect that only a tiny subset has so far been identified. The majority of such cases, and certainly all the earliest cases, historically and developmentally, seem to rest on molecular information-processing, for example processes required for building brains, which, at least initially cannot use brains, though later on in life that can change in various ways as discussed briefly in [*]. Place holder: Changes in uses of information to enable and control different sorts of development of an embryo -- epigenetic information processing. Place holder: Changes in use of information in immune systems and other defensive control mechanisms. It is commonplace to ask how the physical changes (e.g. 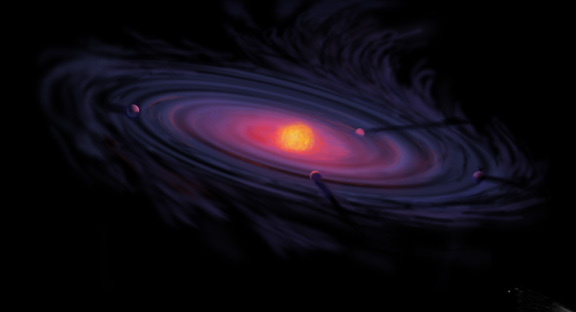 construction of new complex molecules, or changes in the availability of oxygen) occurred. But it is also important to ask "Where does all the information come from?" -- e.g. the information specifying complex organisms used in their reproduction. We should not assume the information all came in one large dollop when the earth was formed, or when the universe was formed: for it is possible that the structure of matter and the space it occupies provides a platform for certain kinds of interactions and (positive and negative) feedback loops to create novel information (not in Shannon's sense, but in the sense of content that refers). Exactly what information emerges may not be totally determined in the initial state, if some of the interactions leading to new physical structures and new types of information processing are physically unpredictable. Another possibility is that external perturbations (e.g. asteroid impacts, changes in radiation reaching the planet, could significantly alter the environment in which already evolved organisms continue evolving -- including changing the physical properties of the environment or eliminating or reducing other relevant species, e.g. prey or predators. The latter would be a special case of a process that happens continually, namely the environment for any species can be changed as a result of evolutionary changes in other species in that environment, including prey (food), predators, parasites, symbiants, etc. As methods of reproduction changed, the information processing requirements and opportunities changed. Here are some illustrative, speculative, possible changes. Early forms of reproduction involves self-assembly of a new structure within an old one until it becomes detached and self-sustaining (possibly continuing to grow). The information about the design of the copy is implicit in the mechanisms that allow (possibly random) chemical processes within the original organism to have the side effect of growing a copy. Another form, presumably later, involved assembly within the "parent" of specifications for offspring, which can be assembled into a structure that is excreted, possibly with a small initial food supply, and which thereafter continues self assembly in an external medium from which it extracts nutrients. This mechanism would allow each individual to produce offspring that grow in parallel, enabling production of far more offspring in any time than the previous mechanism. This mechanisms requires the information given to the offspring to include information about how to pass on the information -- an early example of meta-morphogenesis. A variant for external assembly of a copy is to produce the reproductive information for growing a new individual, and also a protective shell, and a store of nutrients in the shell. This would allow new copies to become larger and more complex before requiring the ability to absorb, or seek and find, nutrients in the environment. Another variant is parasitic insertion of the instructions for building a copy into another living organism from which the offspring can gain nutrients, and perhaps also other benefits such as temperature control and in some cases different resources at different stages of development. A variant of a parasite using a host of a different type could be a parasite using a host of the same general type, which might have the advantage of providing a development environment better suited to the copy -- conspecific parasitism(?). This might have led to development of insertion appendages, and later still to defensive mechanisms that enabled hosts to use inserted embryos to carry some of their own reproductive information and later still sexual differentiation that replaced mechanisms for exploitation with mechanisms for cooperation in reproduction. Memes are self-reproducing information structures that move between information users with capabilities for communication, imitation, teaching, learning, and related competences. A full discussion would need to include the transitions that led to production of information-processing machinery capable of supporting meme construction and reproduction -- very different from the mechanisms involved in encoding, copying, transmitting, using, interpreting information in genes. Memes (originally defined by Dawkins) were supposed to be information structures that were "replicators" that could be passed from individual to individual. Copying information content is a special case of something more general, and more subtle, since the possession, provision or use of information by one individual A can trigger use of a different, but related, kind of information by something else B, that observes, manipulates, or interact with A. That sort of influence can operate genetically on a species, or cognitively on an individual. The influence can take very different forms, some involving very specific directly triggered responses (eye blink in response to rapid motion towards the eye), others involving highly context-sensitive, goal related, intelligent responses (e.g. saccades during searching) possibly involving creative planning or problem-solving. Interactions over time between predator and prey, or collaborators, parents and siblings, and extended interactions can lead to new strategies for catching, avoiding being caught, collaborating, tending, etc. Such invoked new forms of information and information-processing, can then, in turn trigger further new forms in prey, predators, etc. This is an old idea studied, for example, in connection with evolutionary "arms races", but it is often used to investigate "evolutionarily stable strategies", whereas my point is that there need not be anything stable about the process: in some cases it may generate constant novelty, but not only through competition, as in arms races. items in the environment can have potential affordances that influence the evolution of species so as to enable them to detect and use those affordances. 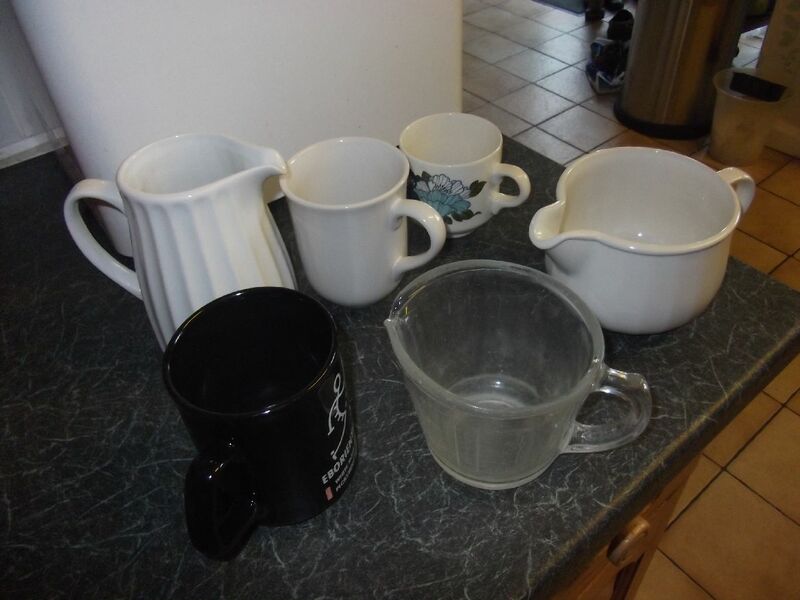 individuals detecting affordances in objects or situations may work out goals, or strategies for making use of those affordances, in a systematic way. E.g. pickability of berries can lead to strategies for picking the berries by hand in one species, and by mouth in another, because of morphological differences. Place holder (5 Feb 2013): Transitions concerned with time I was reminded of the importance of this when reading part of Gardenfors (2003). This is also discussed by Merlin Donald (2002). At various stages organisms must have developed abilities to control speeds of processes, e.g. speed of motion, if self-propelled, and in articulated parts, controlling speed of motion involves controlling temporal coordination of moving parts, e.g. legs, wings, fins, etc. Various rhythmical internal processes can also be speeded up or slowed down, such as heart beats and breathing. Organisms that depend on cooperation of various sorts need to be able to control and coordinate times of action, e.g. mating swarms of some insects, flashing of fireflies, migration in birds, coordinated hunting by dolphins and some sharks. A hunter trying to intercept a moving prey animal has to control speed so as to arrive at location where the two trajectories intersect at the same time as the prey. Some tasks require estimates of time for something unseen to happen, e.g. something coming back into view after going behind an obstacle. Speech requires complex coordination of timing of breathing, tongue movements and other mouth movements. Sign language also involves coordination of different parallel movements. Additional time competences are required for building histories: information about what happened when and where, and temporal relations (e.g. "I left before he arrived"), and abilities to reason about the future and make and compare plans. Some plans only have temporal ordering with no reference to how long each step takes. Some specify time intervals. Kenneth Craik, (1943), The Nature of Explanation, 1943. "An important part of the "learning" required to deal with the three dimensional world of objects, processes, and other beings was done by evolution. Each child need not do this learning itself. "Animal behavior, including human intelligence, evolved to survive and succeed in this complex, partially observable and very slightly controllable world. The main features of this world have existed for several billion years and should not have to be learned anew by each person or animal." "In view of evolution, one would expect the fact of being hungry to be represented both chemically and in the language of thought." Ulric Neisser wrote, in Cognition and Reality, W.H. Freeman, 1976.
after having criticised the work earlier. Z. Parusnikova & R.S. Cohen (eds. ), Rethinking Popper, Springer. See also references to Karmiloff-Smith's work, above. Dirk Trossen organised a workshop on thinking architecturally. major function of perception is discovery of affordances. Tanya Goldhaber kindly read and commented usefully on a draft of this document in November 2012, in particular pointing out the need for more context to be provided in several sections.